I don’t know about you. I seem to wake up every morning with a vague sense of having done something wrong. Or not done something right. Even before my feet hit the floor I’m fretting about the text I didn’t send last night. The email I didn’t reply to. That phone call I should have made. And have I got everything in my diary? Or am I going to forget something vital again today? Actually it’s hardly ever happened. But in my head I do it several times a day. Studies suggest that women may actually feel more guilt than men. Guilt, it’s suggested, is an ‘other-focused’ emotion. We’re brought up to consider ourselves responsible for the welfare of others to a greater extent than men. Thus we’re more likely to experience unreasonable levels of guilt. So, in the interest of redressing the balance, here are a few things I know I shouldn’t feel guilty about. But I do. Getting up later than I plan to. For some reason I feel guilty about this every single morning. Even when I get up at the right time. I suspect if I set my alarm for 4am and leapt out of bed the moment it went off I’d still manage to find a reason to feel guilty about it. But I’m not planning to test the theory. Spending money. It’s probably good to be cautious about this in my precarious financial state. But, as anyone who’s been broke for the best part of a lifetime will tell you, feeling bad about money all the time has a flipside. It’s the oh-sod-it-I’m-going-to-feel-bad-whatever-I-do-so-I-might-as-well-go-ahead-and-do-it-anyway effect. This can be lethal in the wrong hands. Mine, for example. Living in a tip. When I was a little over three years old, my little brothers were born. For a short time after my mother brought them home from hospital we had a home help. She came on Tuesday afternoons. I remember with startling clarity. I sat on the bottom of the stairs after lunch and watched my mother scream round the house like a thing possessed. “Couldn’t the home help do that?” I ventured at last. She hurtled by like Roadrunner on speed. Duster in one hand. Carpet sweeper in the other. The hoover was no good. It would have woken the babies. She shot me a withering glance as she passed. It was my first introduction to housework as performance art. To this day, my flat only gets a really good going over within an hour of the anticipated arrival of visitors. The rest of the time? Let’s face it. I’m the only person who’s inconvenienced these days by my constant inability to remember where I’ve left anything. I can live with it. Life’s too short for compulsive tidiness. As the sign on the wall in an old friend’s kitchen said, a tidy house is a sign of a wasted life. Not going to the gym. Confession time. I once belonged to a gym for almost two years. I think I went there on more than one occasion during each of those years. This means I did a lot better than the around 80 % of Americans with gym memberships in a 2009 study. They never actually used the gym at all. I imagine statistics for the UK are similar. Worse still, one study found that 13% of the participants regularly lied, claiming to go to the gym when they were actually somewhere else. Probably somewhere far more interesting. The truth is I find the gym boring. All that metal and vinyl do nothing for me. And who on earth chooses the music? Any country footpath or city pavement knocks spots off a treadmill. Costs nothing. And you’re actually going to arrive somewhere at the end of it all. I know what you’re thinking. Yes. I could do with a good workout once in a while. But there has to be a better way. More time on the allotment perhaps. Get the bike fixed up. Run to the swimming pool. Join a green gym maybe. My daughter’s a member of GoodGym in Bristol. They run to community projects around the city and help out. A workout with a purpose. As for a conventional gym. I refer you to my previous comment. Life’s too short. 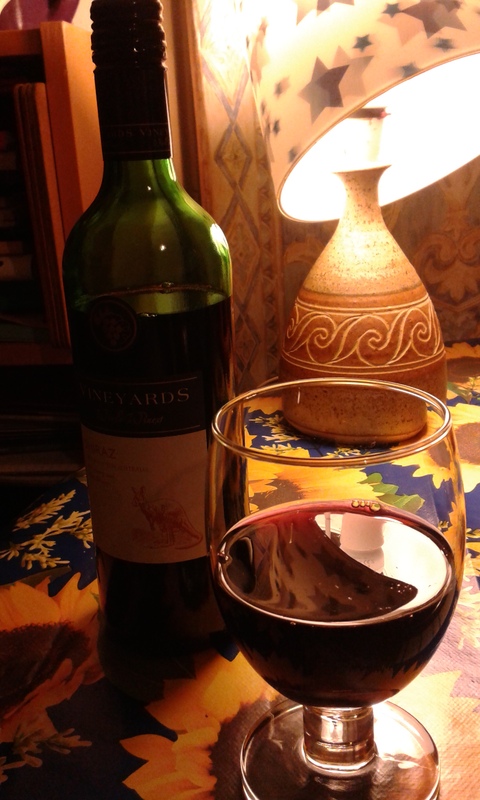 Drinking red wine. Right now I’d love to be able to wallow about this one. Heaven knows, my parents weren’t teetotal for all those years without teaching me a thing or two about alcohol-related guilt … but I finished the bottle last night. Guess it’s a quick decaff and off to bed then.